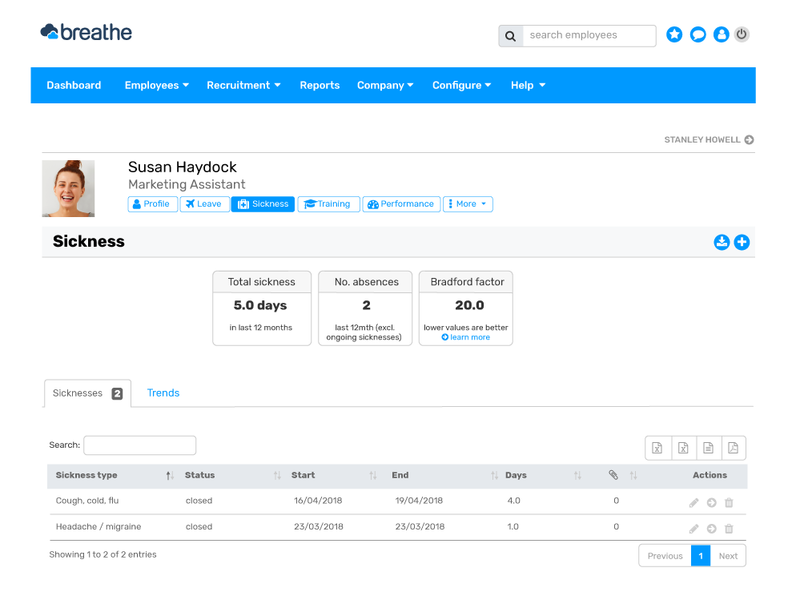 Transform how you manage all types of employee absence with Breathe. Successfully managing employee absence is crucial to the running of a business. Employee absenteeism affects business productivity, costs your company money, and has a negative effect on staff morale. 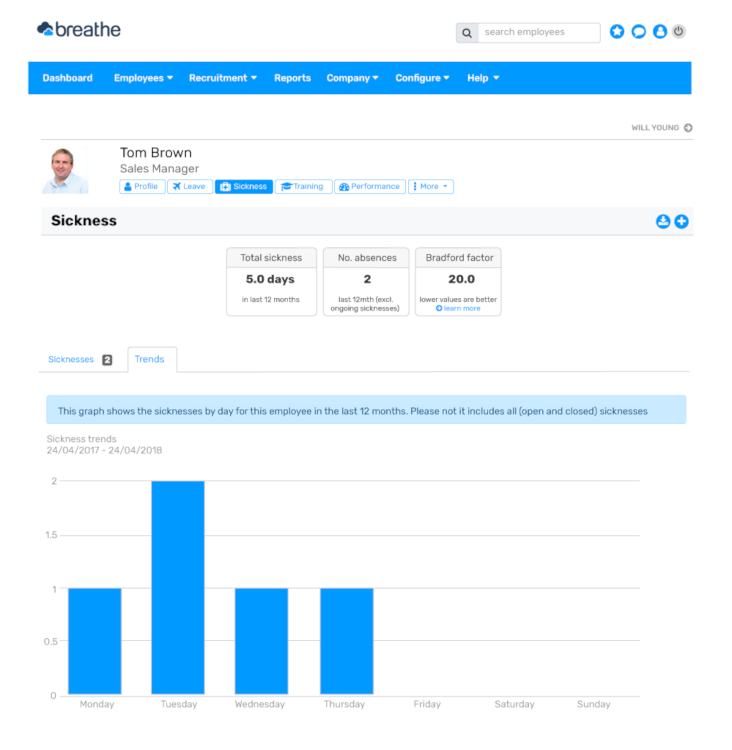 Breathe's absence management software gives you back control. Increase your understanding of absence-related problems and you’ll have business operations running more efficiently in no time. Absence management software helps businesses oversee holiday requests, sickness and record all types of absence. It enables you to understand the absence-related problems that could be holding your business back. Managers are able to run reports, analyse trends and find solutions to any staffing problems in real time. 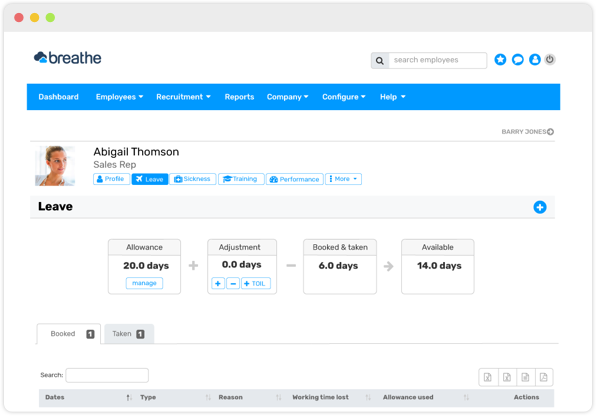 Absence management software enables your business to effectively measure the costs, causes and impact of employee sickness absence. With absence management software everything is accurately recorded all in one place. There’ll be no more misunderstandings over leave allowances, and annual leave quotas for part-time employees are easily calculated. Staff have access to their own holiday planners and self-manage leave requests. 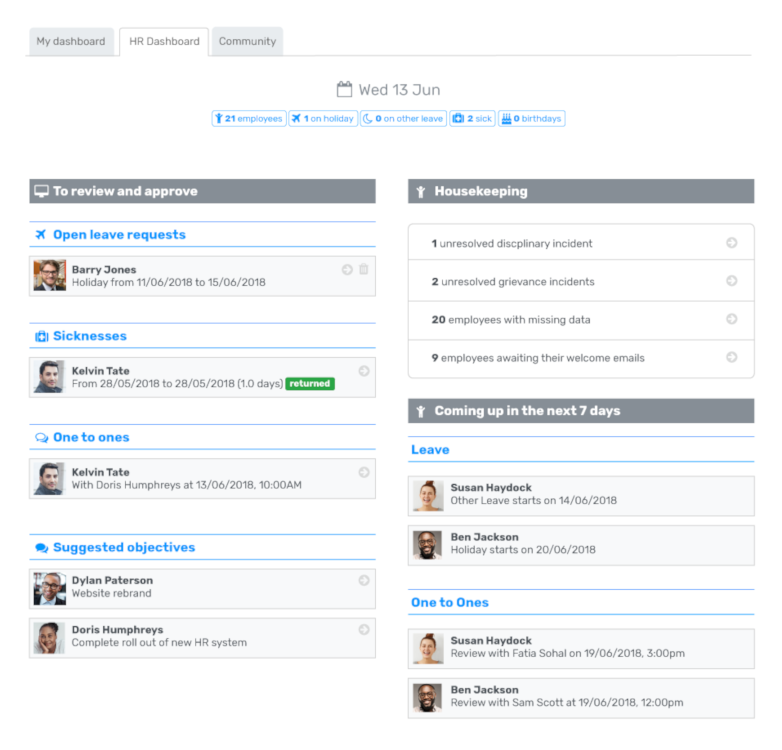 Managers can approve or reject leave requests at the click of a button. Managers can avoid leave clashes and effectively cover key staff shortages. Effective monitoring of staff sickness. Accurate tracking gives you the control you need to keep on top of any staff sickness problems. Supporting data, such as the Bradford Factor score for each employee, enables absence problems to be unearthed quickly. 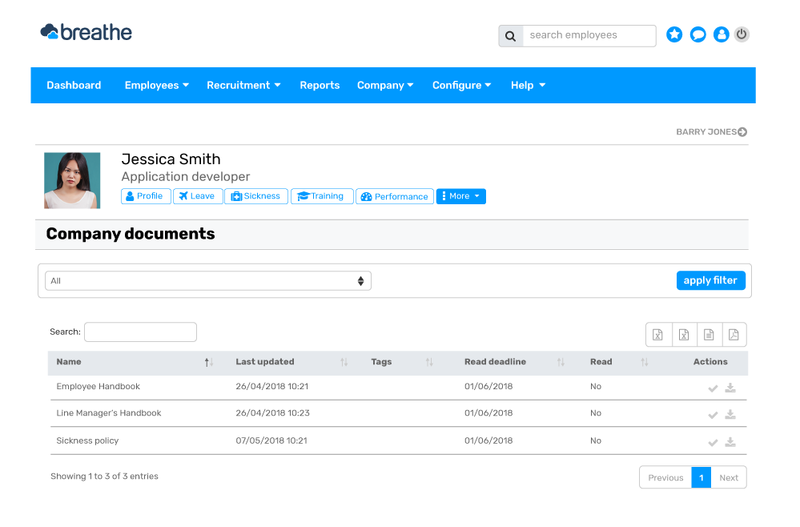 Our absence management software allows you to recognise patterns and quickly identify problems so you can create effective real-time solutions and keep your business on the right track. With one system accessible by all staff, central policies on annual leave and sickness can be communicated with clarity and consistency. 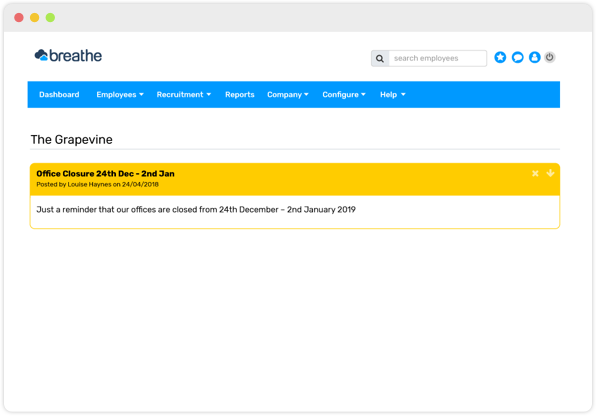 Absence management software cuts down administration, reduces the risk of human error, and provides effective real-time information about staff absence. Understanding the causes of absenteeism sooner rather than later allows you to fix any problems and keep productivity high. 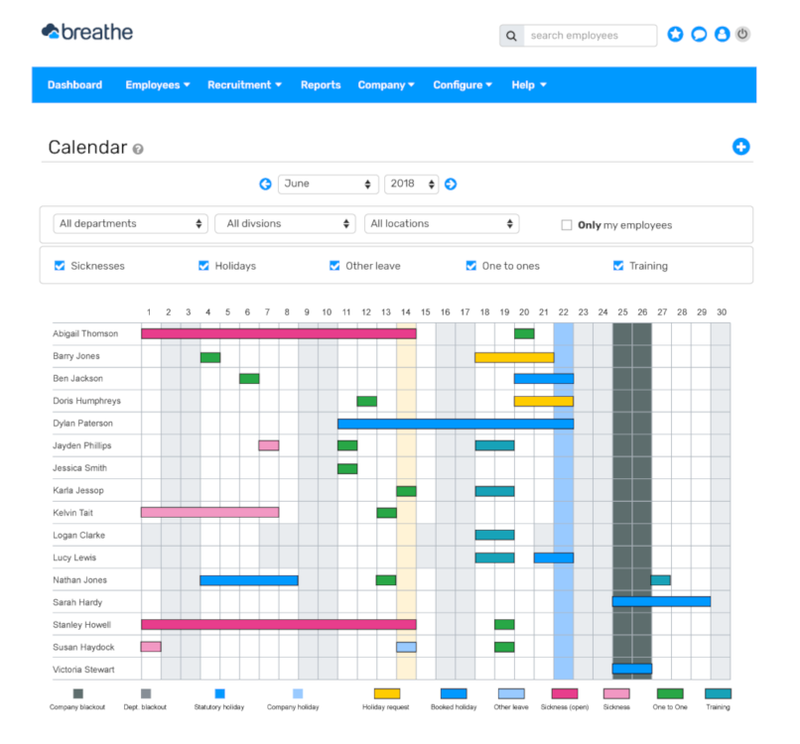 Breathe’s absence management software creates a framework for good HR practice. Consistent policies and procedures, along with a self-serve booking system creates a level playing field and staff can feel they are being treated fairly. In addition, staff shortages can be more easily dealt with, keeping staff motivation levels on an even keel. Saves your business time and money. Efficient schedules can be implemented putting an end to short-staffed departments and saving your business the costs of overtime. Employees can access and monitor their own sickness records, complete self-certification forms and upload doctor’s certificates. Monitoring absence is accurate, quick and easy for managers and administration for HR staff is considerably reduced. "Amazingly easy to use for HR, employees and line managers!!"